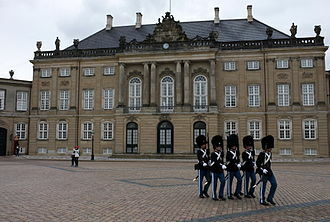 Frederick was born at Christiansborg Palace in Copenhagen. Frederick belonged to the House of Oldenburg. 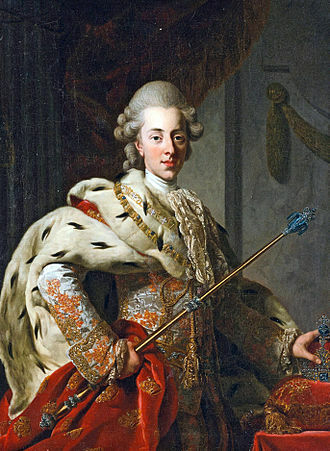 His parents were King Christian VII and Caroline Matilda of Great Britain. He was born after 15 months of marriage, a day before his father's 19th birthday, when his mother was just 16. As the eldest son of the ruling king, he automatically became crown prince at birth. On 30 January of the same year, he was baptised at Christiansborg Palace by Ludvig Harboe, Bishop of Zealand. His godparents were King Christian VII (his father), the dowager queen Juliana Maria (his step-grandmother) and his half-uncle, Hereditary Prince Frederick (Arveprins Frederik). His father suffered from serious psychological problems, including suspected schizophrenia expressed by catatonic periods which resulted in the king ceding power to his doctor, Johann Friedrich Struensee. From 1770 to 1772, Struensee was de facto regent and lover of Caroline Matilda, Frederick's mother. 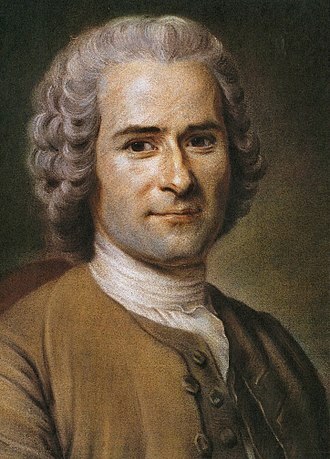 Both were ideologically influenced by Enlightenment thinkers such as Voltaire and Jean Jacques Rousseau. 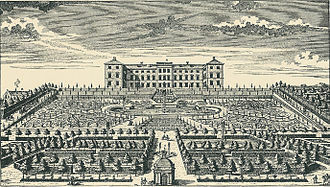 While Struensee was in power, young Frederick was raised at Hirschholm Palace following the educational approach advocated by Rousseau in his famous work Émile. Instead of receiving direct instruction, Frederick was expected to learn everything through his own efforts through playing with two commoner boys as per Struensee's instructions. On 8 January 1772, after the revolt against Struensee, Frederick's 18-year-old half-uncle Hereditary Prince Frederick was made regent. The real power, however, was held by Hereditary Prince Frederick's mother (Crown Prince Frederick's step-grandmother), Queen Dowager Juliana Maria, aided by Ove Høegh-Guldberg. Frederick was raised under the supervision of Margrethe Marie Thomasine Numsen. Finally, on 14 April 1784, the crown prince Frederick was declared of legal majority; he proceeded to seize and exercise the full powers of the regency, dismissing the ministers loyal to the Queen Dowager. It is said that during the coup, he engaged in a fistfight with his half-uncle over the regency. He continued as regent of Denmark under his father's name until the latter's death in 1808. During the regency, Frederick instituted widespread liberal reforms with the assistance of Chief Minister Andreas Peter Bernstorff, including the abolition of serfdom in 1788. Crises encountered during his reign include disagreement with the British over neutral shipping. 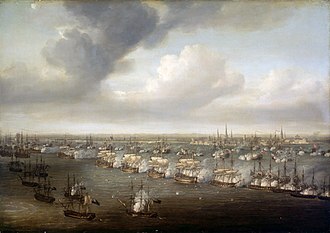 This resulted in two British attacks on Copenhagen, the Battle of Copenhagen of 1801 and the Battle of Copenhagen of 1807. The conflict continued in the Gunboat War between Denmark-Norway and the United Kingdom, which lasted until the Treaty of Kiel in 1814. There was speculation that he was to marry a Prussian princess, a choice supported by his step-grandmother Juliana Maria and her brother-in-law Frederick the Great. To show his independence from advisors, he personally selected his first-cousin Marie Sophie of Hesse-Kassel, a member of a German family with close marriage links with the royal families of both Denmark and Great Britain. 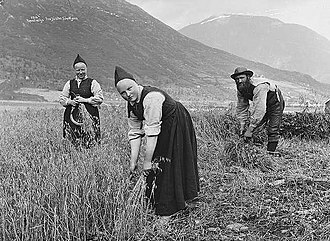 They married in Gottorp on 31 July 1790 and had eight children. Their eldest daughter, Princess Caroline married her father’s first cousin, Ferdinand, Hereditary Prince of Denmark. The youngest, Princess Wilhelmine, became the wife of the future Frederick VII of Denmark. None of Frederick VI's sons survived infancy and when he died, he was succeeded by his half-cousin Christian VIII of Denmark, the son of his half-uncle Prince Frederick. Frederick became King of Denmark-Norway on 13 March 1808. When the throne of Sweden seemed likely to become vacant in 1809, Frederick was interested in being elected there as well. Frederick actually was the first monarch of Denmark and Norway to descend from Gustav I of Sweden, who had secured Sweden's independence in 1520s after the period of the Kalmar Union with other Scandinavian countries. 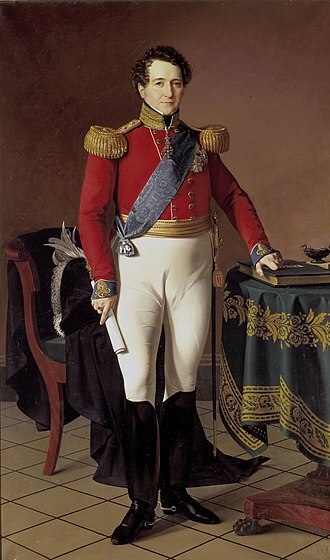 However, Frederick's brother-in-law, Prince Christian Augustus of Augustenborg, was first elected to the throne of Sweden, followed by the French Marshal Bernadotte. During the Napoleonic Wars, he tried to maintain neutrality; however, after the British bombardment of Copenhagen, he was forced to ally Denmark-Norway with Napoleon. After the French defeat in Russia in 1812, the Allies again asked him to change sides but he refused. Many Danish historians portray the king as stubborn, incompetent, and motivated by a misconceived loyalty towards Napoleon. 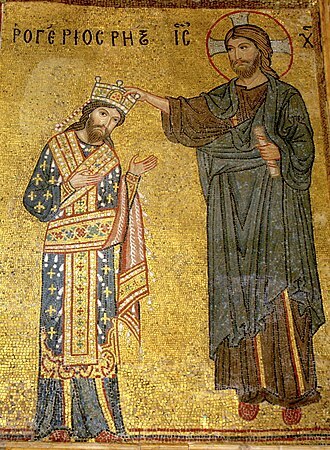 However, some historians in recent years have provided a different interpretation that sheds a better light on the king. He stayed with Napoleon in order to protect the exposed situation of Norway, which was dependent on grain imports and had become the target of Swedish territorial ambitions. He expected the wars would end with a great international conference in which Napoleon would have a major voice, and would help protect Denmark's interests, especially in Norway. After the French defeat in the Napoleonic Wars in 1814 and the loss of the Norwegian crown, Frederick VI carried through an authoritarian and reactionary course, giving up the liberal ideas of his years as a prince regent. Censorship and suppression of all opposition together with the poor state of the country's economy made this period of his reign somewhat gloomy, though the king himself in general maintained his position of a well-meaning autocrat. 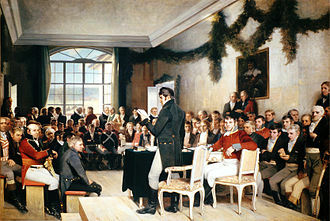 From the 1830s the economic depression was eased a bit and from 1834 the king reluctantly accepted a small democratic innovation by the creation of the Assemblies of the Estate (purely consultative regional assemblies); this had the unintended result of later exacerbating relations between Danes and Germans in Schleswig, whose regional assembly became a forum for constant bickering between the two national groups. Frederick VI was known as a patron of astronomy and in 1832 offered gold medal prizes to anyone who discovered a comet using a telescope. His successors continued this until 1850. The prize was terminated in the aftermath of the First War of Schleswig. 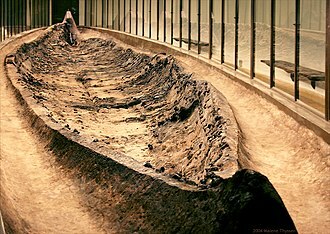 After the discovery of the Haraldskær Woman in a peat bog in Jutland in the year 1835, Frederick VI ordered a royal interment in an elaborately carved sarcophagus for the Iron Age mummy, decreeing it to be the body of Queen Gunnhild. Later this identification proved incorrect, but the action suited his political agenda at the time. 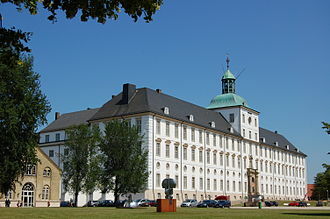 Frederick VI died at the age of 71 at Amalienborg Palace and was buried in Frederick V's chapel in Roskilde Cathedral. Frederick reigned over Denmark for a total of 55 years; 24 years as crown prince regent and 31 years as king. He was the 894th Knight of the Order of the Golden Fleece in Spain and the 654th Knight of the Order of the Garter in 1822. The Royal Frederick University (now University of Oslo) in Oslo was named in his honour. 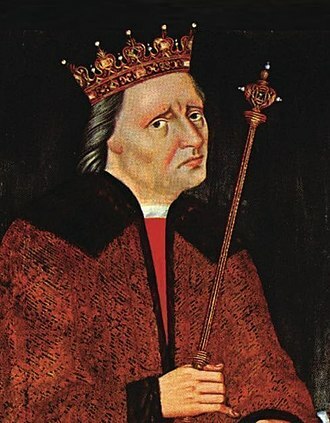 As Frederick VI had no surviving sons to succeed him (only two daughters), he was succeeded on the throne of Denmark by his half-first cousin Christian, who was his father's half-brother's son. Caroline (Copenhagen, 28 October 1793 – Copenhagen, 31 March 1881), married to her father's first cousin Frederick Ferdinand of Denmark, (d. 1863). Childless. Vilhelmine Marie (Kiel, 18 January 1808 – Glücksburg, 30 May 1891), married twice; firstly her second cousin Frederick (the future Frederick VII of Denmark), but they divorced, and she married secondly Karl, Duke of Schleswig-Holstein-Sonderburg-Glücksburg, who was eldest brother of the future Christian IX of Denmark. Both her marriages were childless. As the Prince Regent, Frederick is a leading character in the comic opera "His Excellency" by Gilbert and Sullivan. Spain: Knight of the Order of the Golden Fleece in 1818. ^ "British Survey Handbooks, Denmark". Retrieved 21 December 2015. ^ "kronprinsregent". Store norske leksikon. Retrieved 4 November 2012. ^ "Kongelig fødsel og dåb - om kirkebøgerne - fra Dansk Historisk Fællesråd". historie-online.dk (in Danish). Retrieved 2013-02-18. ^ Magne Njåstad. "Arveprins Frederik". Store norske leksikon. Retrieved August 15, 2016. ^ Magne Njåstad. "Johann Friedrich Struensee". Store norske leksikon. Retrieved August 15, 2016. ^ Magne Njåstad. 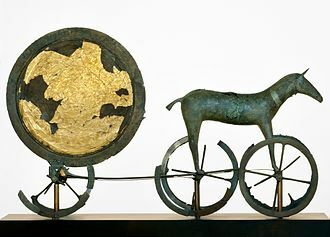 "Ove Høegh-Guldberg". Store norske leksikon. Retrieved August 15, 2016. ^ Magne Njåstad. 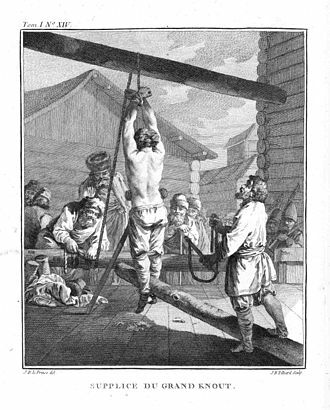 "Flåteranet i 1807". Store norske leksikon. Retrieved August 15, 2016. ^ "Frederick VI of Denmark". European Royal History. Retrieved August 15, 2016. ^ Knut Dørum. "Frederik 6". Store norske leksikon. Retrieved August 15, 2016. ^ Magne Njåstad. "Norge under Napoleonskrigene". Store norske leksikon. Retrieved August 15, 2016. ^ Jon Gunnar Arntzen. "Frederik 6". Norsk biografisk leksikon. Retrieved August 15, 2016. 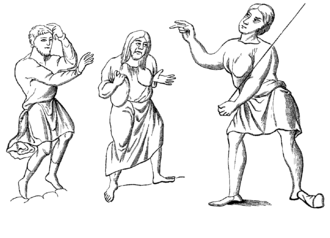 ^ "Haraldskaer Woman" (PDF). 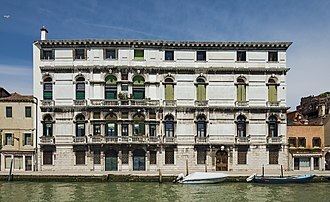 Archaeological Institute of America. Retrieved August 15, 2016. ^ "Kong Frederik VI". Retrieved 21 December 2015. ^ "Frederick VI, King of Denmark". Retrieved 21 December 2015. ^ T.F. 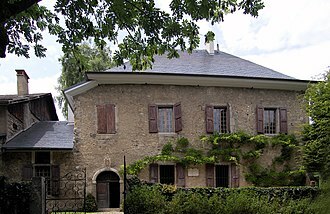 BoettgerChevaliers de la Toison d'Or. Knights of the Golden Fleece. ^ Genealogie ascendante jusqu'au quatrieme degre inclusivement de tous les Rois et Princes de maisons souveraines de l'Europe actuellement vivans [Genealogy up to the fourth degree inclusive of all the Kings and Princes of sovereign houses of Europe currently living] (in French). Bourdeaux: Frederic Guillaume Birnstiel. 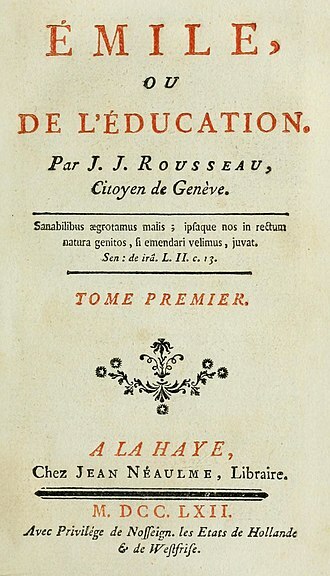 1768. p. 56. Wikimedia Commons has media related to Frederick VI of Denmark. Princess Caroline of Denmark, was the eldest surviving daughter of King Frederick VI. She was unofficially known as Kronprinsesse Caroline prior to her marriage and she married her father’s first cousin, Hereditary Prince Ferdinand, who was heir presumptive to the throne from 1848 to 1863. Princess Caroline was born at Christiansborg Palace in Copenhagen on 28 October 1793 and her parents were Crown Prince Frederick and his spouse and first cousin, Princess Marie of Hesse-Kassel. 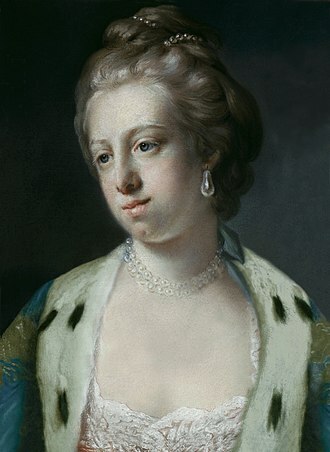 Her paternal grandfather King Christian VII being mentally unstable, her father had acted as regent since 1784 and her birth was much welcomed by the public, as her siblings had died soon after their birth. At her birth it was said, «Denne er Dydens Løn, flere er Folkets Bøn. » Four months after her birth, on 26 February 1794, subsequently Princess Caroline moved with her parents to Amalienborg Palace where she grew up, spending the summers at Frederiksberg Palace. At the death of her grandfather Christian VII of Denmark in 1808 and she had a very close relationship with her father. She was given a broad, but not very thorough or deep, Caroline was not described as either talented or beautiful. She met Hans Christian Andersen in 1822 and was interested in his writing. Her father had no surviving sons and Caroline and her sister Vilhelmine Marie were excluded from succession to the throne as a result of Salic Law. Despite of this fact, she was commonly called and referred to as Crown Princess prior to her marriage, as the eldest child of her father. Several possible marriages were planned for her but without result, among the grooms suggested was the British Prince William, Duke of Clarence. In 1812, she was engaged to her uncle Prince Christian of Hesse, finally, on 1 August 1829 at Frederiksberg Palace she married her first cousin, Prince Ferdinand of Denmark, who was third in line to the throne. The marriage was arranged for political reasons and was childless, after her marriage, she was no longer called crown princess until her spouse became hereditary prince. She suffered a burn injury in 1858 when she burned her arm and shoulder so badly. Specifically excluded from the exchange were the Norwegian dependencies of Greenland and the Faroe Islands, which remained in the union with Denmark. Norway unsuccessfully contested the Danish claim to all of Greenland in the East Greenland case of 1931–1933, not all provisions of the treaty would come into force. 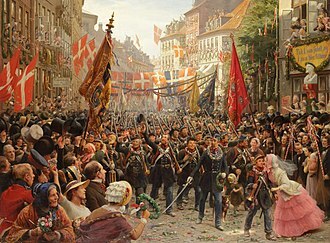 Norway declared its independence, adopted a Constitution and elected Crown Prince Christian Frederik as its own king, Sweden therefore refused to hand over Swedish Pomerania, which instead passed to Prussia after the Congress of Vienna in 1815. After a short war with Sweden, Norway accepted entering into a union with Sweden at the Convention of Moss. King Christian Frederik abdicated after convening an extraordinary Storting, which revised the Constitution to allow for the Union and it was formally established when the Storting elected Charles XIII as king of Norway on 4 November 1814. In the beginning of the Napoleonic Wars, Denmark-Norway and the Kingdom of Sweden tried to maintain neutrality, the United Kingdom, which had declared war on France in 1803, paid subsidies to Sweden. Before Gustav IV Adolf marched his forces out of Swedish Pomerania, in 1807, Napoleonic forces seized Swedish Pomerania and forced Prussia and Russia to sign the Treaty of Tilsit. Sweden could no longer uphold her anti-French foreign policy, and French Marshal Jean Baptiste Bernadotte was elected heir to the Swedish throne in 1810, Denmark-Norway entered an alliance with France after the second British bombardment of Copenhagen in 1807. In 1812, Napoleons forces were decimated in their attempt to subdue Russia. Sweden allied with Russia on 30 August 1812, with the United Kingdom on 3 March 1813, previously, on 23 March 1813, she had declared war on Napoleon. Bernadottes condition for entering the anti-Napoleonic alliance was the gain of Norway, Prussia however did not acknowledge this claim at first. Thus, Bernadotte hesitated to enter the war with full force, when Prussia finally accepted the Swedish claim to Norway on 22 July, Sweden joined the alliance of Reichenbach concluded between Russia, the United Kingdom and Prussia on 14/15 June. Roskilde Cathedral, in the city of Roskilde on the island of Zealand in eastern Denmark, is a cathedral of the Lutheran Church of Denmark. The first Gothic cathedral to be built of brick, it encouraged the spread of the Brick Gothic style throughout Northern Europe, constructed during the 12th and 13th centuries, the cathedral incorporates both Gothic and Romanesque architectural features in its design. Until the 20th century, it was Zealands only cathedral and its twin spires dominate the skyline of the town. The cathedral has been the burial site for Danish monarchs since the 15th century. As such, it has significantly extended and altered over the centuries to accommodate a considerable number of burial chapels. 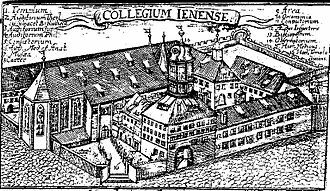 Following the Danish Reformation in 1536, the residence was moved to Copenhagen while the title was changed to Bishop of Zealand. Coronations normally took place in Copenhagens Church of Our Lady or in the chapel of Frederiksborg Palace, the cathedral is a major tourist attraction, bringing in over 125,000 visitors annually. Since 1995, it has listed as a UNESCO World Heritage Site. 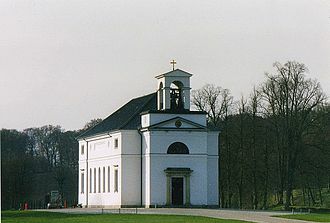 A working church, it hosts concerts throughout the year. 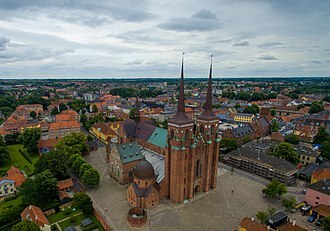 Roskilde was named the new capital of Denmark by King Harald Bluetooth around the year 960, moving to Roskilde, Bluetooth built a royal farm and next to it, a small stave church, dedicated to the Holy Trinity. Little is known of the Trinity Church, let alone its architecture, in Adam of Bremens Gesta Hammaburgensis ecclesiae pontificum, there is an account of how the kings son, Sweyn Forkbeard, raised a rebellion against him, forcing him to flee to Jomsborg. 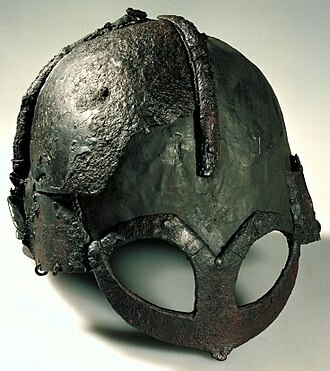 When Bluetooth died in 985/986, the army that had raised against him brought his body to Roskilde. 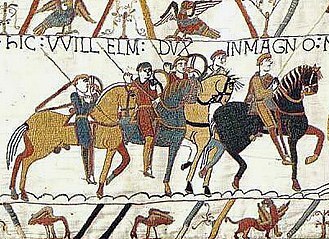 At Christmas in 1026, Ulf the Earl was murdered by one of Cnut the Greats housecarls, though the sources differ, this happened either inside the church or at the royal farm. Ulf had been married to Cnut the Greats sister Estrid, who was outraged by the murder, there is some doubt as to when Roskilde became the seat of the Bishop of Roskilde. Christian VIII was the King of Denmark from 1839 to 1848 and, as Christian Frederick, King of Norway in 1814. He was the eldest son of Hereditary Prince Frederick of Denmark and Norway and his paternal grandparents were King Frederick V of Denmark and his second wife, Duchess Juliana Maria of Brunswick-Wolfenbüttel. Christian was born at Christiansborg Palace in Copenhagen, Christians upbringing was marked by a thorough and broad-spectrum education with exposure to artists and scientists who were linked to his fathers court. Christian inherited the talents of his highly gifted mother, and his amiability, Christian first married his cousin Duchess Charlotte Frederica of Mecklenburg-Schwerin at Ludwigslust on 21 June 1806. Charlotte Frederica was a daughter of Friedrich Franz I, Grand Duke of Mecklenburg-Schwerin and his first-born son was Christian Frederik, who was born and died at Schloss Plön on 8 April 1807. His second son became Frederick VII of Denmark, the marriage was dissolved by divorce in 1810 after Charlotte Frederica was accused of adultery. Christian married his wife, Princess Caroline Amalie of Schleswig-Holstein-Sonderburg-Augustenburg at Augustenborg Palace on 22 May 1815. The couple was childless and lived in retirement as leaders of the literary. Christian had ten children, for whom he carefully provided. It is rumored that among these children included the fairy tale author Hans Christian Andersen. Christian did all he could personally to strengthen the bonds between the Norwegians and the house of Denmark. He was elected Regent of Norway by an assembly of notables on 16 February 1814, Christian next attempted to interest the great powers in Norways cause, but without success. Sweden refused Christians conditions and a military campaign ensued in which the Norwegian army was defeated by the forces of the Swedish crown prince Charles John. 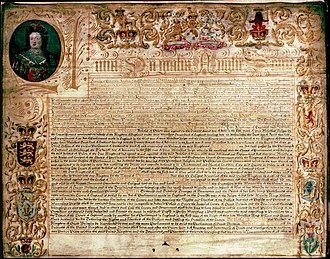 The brief war concluded with the Convention of Moss on 14 August 1814, by the terms of this treaty, King Christian Frederick transferred executive power to the Storting and returned to Denmark. Princess Caroline and her husband Prince Ferdinand as Hereditary Prince, c. 1863. Sculpted bust of Hereditary Princess Caroline, by Bertel Thorvaldsen. Sarcophagus of Juliana Maria in Roskilde Cathedral. Hereditary Prince Frederick, Regent of the Kingdom by Vigilius Eriksen.